"Well, quite a few. That is what every side is looking for: they are looking for the best balance they can have possibly. All these sorts of series and these sort of losses will tell us exactly what we need to work on and the things we need to rectify come World Cup time," said Kohli. 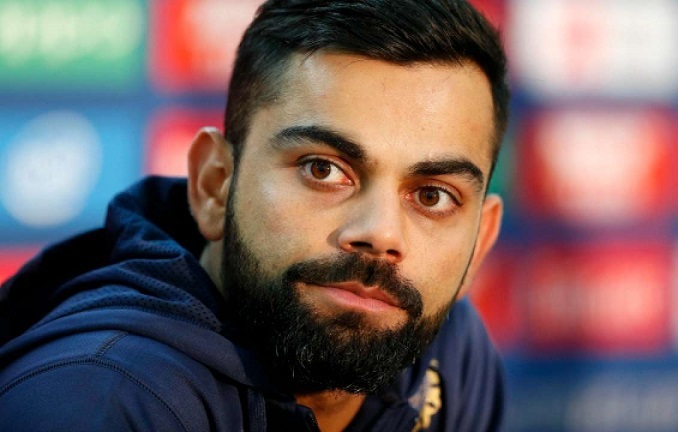 Leeds: Indian captain Virat Kohli has said that the team needs to work on quite a few areas ahead of the upcoming International Cricket Council (ICC) cricket World Cup. His remark comes after India faced a crushing eight-wicket defeat by England in the final of the three-match one-day series here at the Headingley Cricket Ground on Tuesday. "Well, quite a few. That is what every side is looking for: they are looking for the best balance they can have possibly. All these sorts of series and these sort of losses will tell us exactly what we need to work on and the things we need to rectify come World Cup time," ESPNcricinfo.com quoted Kohli, as saying. After registering a convincing win over England in the first ODI of the series, India could not replicate the same in the subsequent matches. In yesterday's final, Kohli was the highest scorer for the side who stitched a crucial 71-run partnership for the second wicket after the early dismissal of opener Rohit Sharma. In the bowling department, besides Shardul Thakur, none of the Indian bowlers was able to contribute with any wicket. England, on the other hand, were brutal in their approach and outclassed India in all the departments. Praising the English side for their performance, Kohli said that they were fabulous with their efforts and completely outperformed the Indian side. "England were really clinical with the ball, bat and the field as well. We were just not good enough," he said.